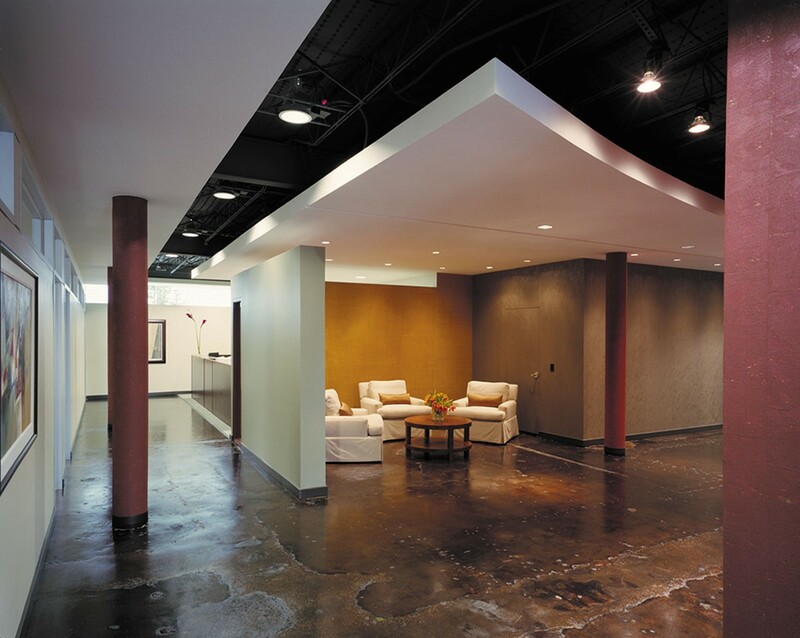 The vision for the interior renovation of the 2500 Fannin Building was to create a professional, yet casual atmosphere with an upbeat, contemporary feel. 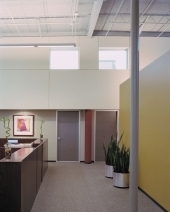 Because its employees dedicate so much time to their profession, the firm felt its work space must be both comfortable and efficient. 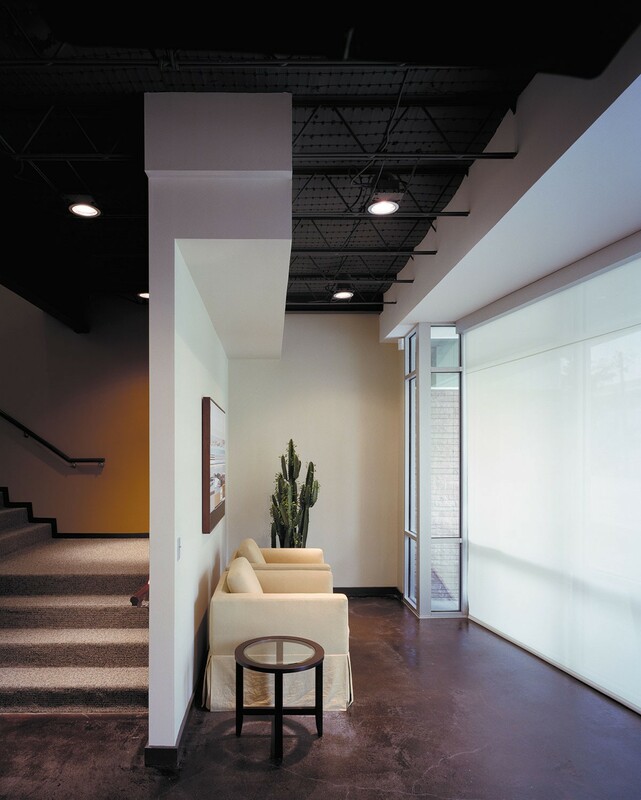 A critical element was the desire to introduce large amounts of natural light. To achieve this, we exploited clearstory windows and raised the roof 8 feet. 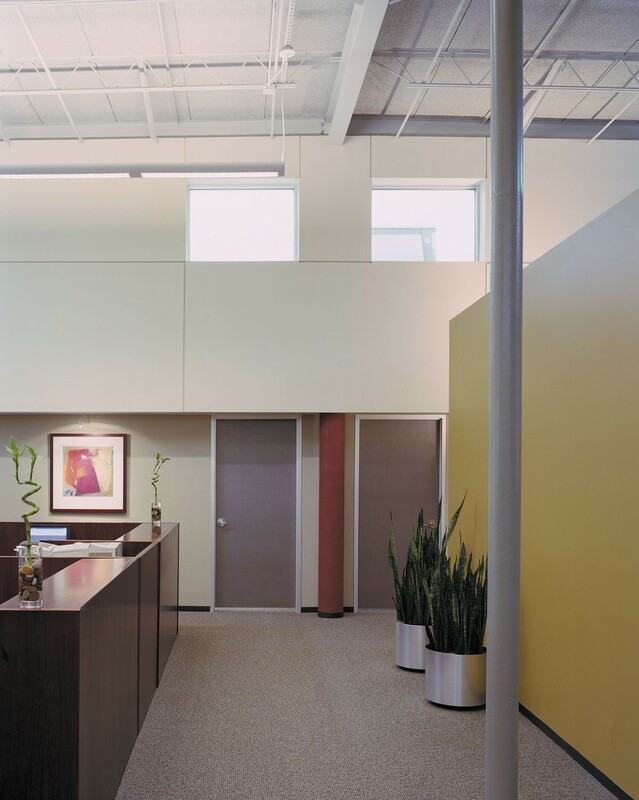 Early in the renovation process, the decision was made to stain the concrete floors, providing an urban feel. 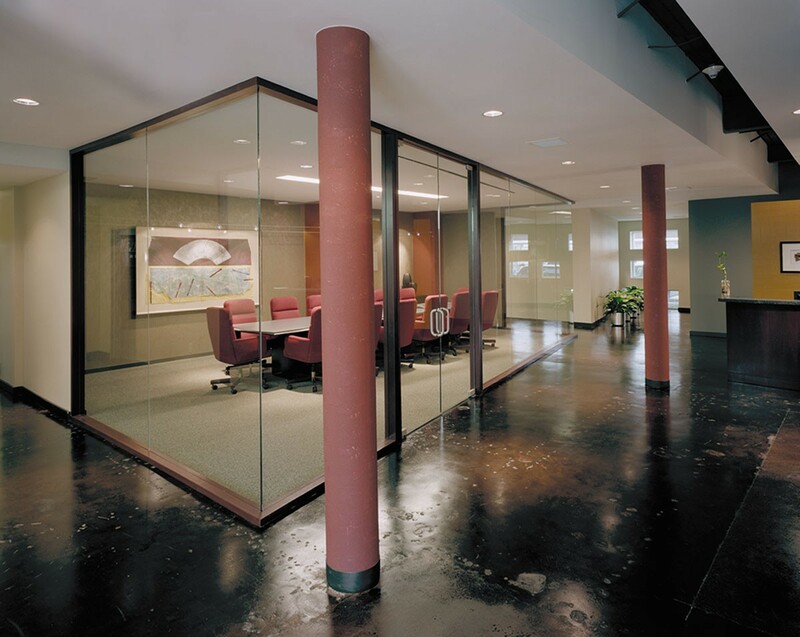 The distressed nature of the building’s slab adds texture and interest to the first floor public spaces. 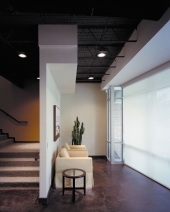 In addition, the ceiling was exposed to provide added height and floating ceiling planes help define spaces. 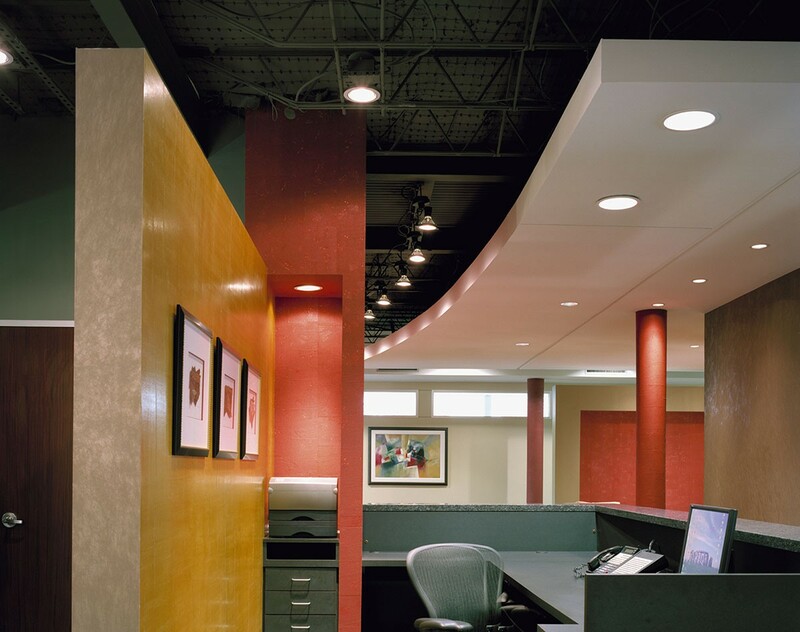 Bold color statements are softened by the warm contrast of mahogany wood and natural cork materials used throughout. 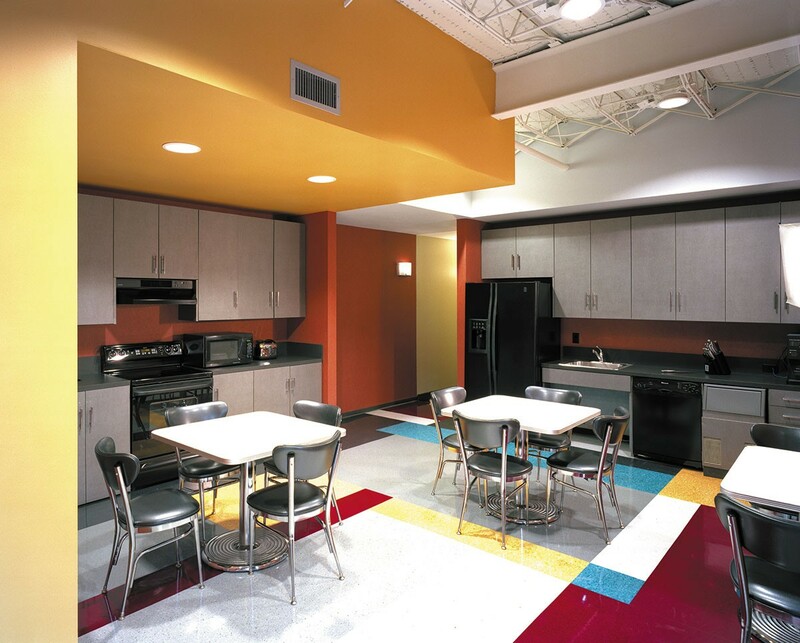 The break room and large urban patio connect the interior to exterior fabric of the surrounding area.